Chuck Anerino is a photographer whose work revolves around his family. 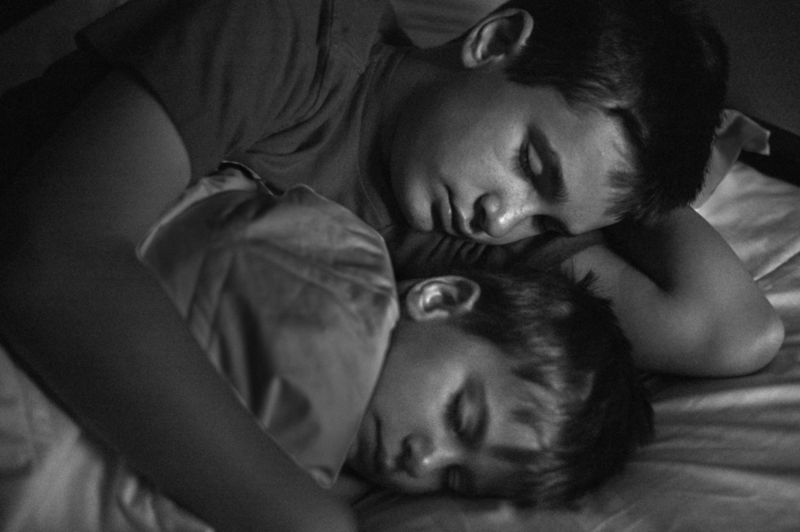 Practicing a style described as family documentary, Anerino uses the sensibility of a documentary photographer to capture lives of his family, particularly his young boys. Ursula Tocik is natural light portrait photographer based in Helderkruin Hill, Johannesburg, South Africa. She has been a professional photographer since 2008, starting out in the wedding industry, however a health crisis led her to a career as a studio-based portrait photographer. After surviving a severe stroke in 2012, which made wedding photography physically impossible she left the wedding industry and began a career in portrait photography where she specializes in boudoir, maternity, couples, glamour and corporate headshots. A professional photographer, author, and public speaker, Khara Plicanic’sunique teaching style and playful sense of humor have endeared her to audiences around the globe. She is also the author of The Enthusiast's Guide to Composition. Hatnim Lee is a Korean-American editorial photographer who has shot everying from fashion to weddings. Her personal project on her family's liquor store in the Washington DC area. The resulting image, which were recently showcased in PDN magazine, capture a unique perspective that reveals both a family and a community. Kevin Mullins is a Wiltshire wedding photographer who practices a black and white documentary photography style. Since 2007, he has developed a successful business based on a clear vision of his personal approach to photography. He is busy photographing weddings in the United Kingdom and abroad. Kevin’s photography has earned him numerous awards including honors from The International Society of Professional Wedding Photographers (ISPWP), Society of Wedding Portrait Photographers and the Artistic Guild of Wedding Photojournalist Association. He is also an in-demand speaker as well as conducts workshops on wedding photojournalism.